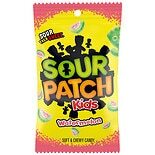 Shop Sour Patch Kids Soft & Chewy Candy (8 oz. )8 oz. 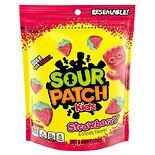 2 for 3 dollars and 99 cents or 1 for 2 dollars and 29 cents 2/$5.00 or 1/$2.69 $0.29 / oz. 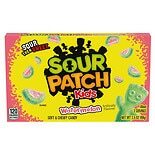 Shop Sour Patch Kids Kids Soft & Chewy Candy Watermelon (8 oz. )8 oz. 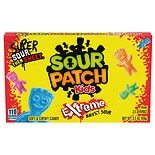 Shop Sour Patch Kids Candy Strawberry (10 oz. )10 oz. 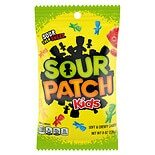 Shop Sour Patch Kids Candy Fruits (10 oz. )10 oz. 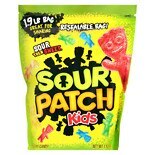 Shop Sour Patch Kids Candy Assorted (30.4 oz. 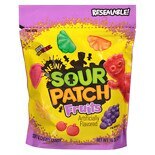 )30.4 oz. 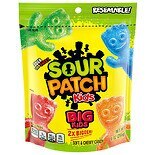 Shop Sour Patch Kids Candy Big Bag (9 oz. )9 oz.